Looking for a Nissan Rogue Sport for sale near New Britain? Then Middletown Nissan has you covered. With over 71 Rogue Sport models to choose from we’re sure to have one in stock with the features and options you’re looking for. 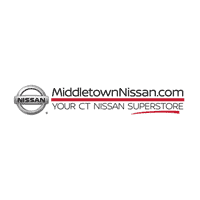 Whether you’re searching for a Rogue Sport S with all-wheel drive and automatic emergency braking or a Rogue Sport SL with stylish 19-inch aluminum alloy wheels and a Nissan Navigation system, you can count on Middletown Nissan near Meriden to have a Rogue Sport that’s perfect for your next family road trip. Here’s at Middletown Nissan, we’d love to help you get behind the wheel of that Nissan Rogue Sport you’ve been searching for. Our professional and friendly team is eager to help guide you through every step of the process. You can take comfort in knowing you’ll get an excellent deal with flexible financing options and you’ll be taken care of well after the sale by our expert service and parts departments. Contact us today to schedule a visit to our showroom in Middletown near Cromwell!